Dr. Lynne E. Barbour received her Bachelor of Science degree from the University of Missouri, Kansas City, in 1983, and her Doctor of Dental Surgery in 1988. She is listed on America’s Top Dentist and Consumers’ Research Council of America, and is a Fellow of the American College of Dentists. 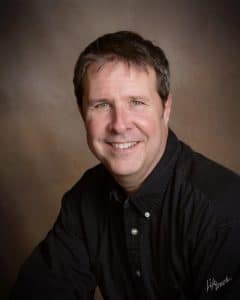 Dr. Barbour is a member of the Northeast Dental Society, Missouri Dental Association, American Dental Association, Keokuk Dental Study Club, and Gnathostatic Research & Study Group. She is also a member of the Council on Innovative Dentistry for 3M. Dr. Barbour has served as President of Missouri Dental Association 2012-2013, and received the Exemplary Service Award. 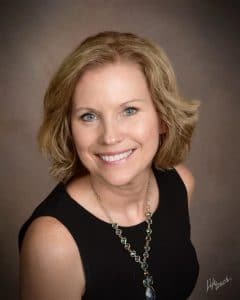 In her free time, Dr. Barbour enjoys spending time with her husband, Stuart Dexter, DDS, and their children: Alexander, Samantha, and Andrew. She is active in her church and community, and she likes to dance, listen to music, and visit good restaurants. Dr. Dexter has been serving patients in Prairie Village, KS, and the surrounding Metropolitan area since 2000. He attended the University of Kansas and was awarded early acceptance into the University of Missouri-Kansas City School of Dentistry. Following his graduation in 1987, Dr. Dexter completed a General Practice Residency at the VA Medical Center in Kansas City. He then continued his education by focusing on the specialty of Prosthodontics, completing his residency at the VA medical hospital. Dr. Dexter completed his prosthodontic training with an oral and maxillofacial fellowship at M.D. Anderson Cancer Clinic in Houston, Texas. He continued expanding his training through numerous continuing education courses, building a solid foundation in the fundamentals of dentistry. From 1991 to 1993, Dr. Dexter worked for the Canadian Health Organization, treating patients who had limited access to dental care. He then returned to Kansas City, where he taught at the University of Kansas City-Dental School as a professor of Prosthodontics, as well as treating patients in faculty practice before practicing privately in 2000. In addition to his practice in Prairie Village, Dr. Dexter provides prosthodontic treatment for Advance Dental Care in Joplin, MO. Dr. Dexter’s education has provided him with extensive dental experience, which he applies every day to provide exceptional care to his patients. Prosthodontists specialize in the esthetic restoration and replacement of damaged or missing teeth. The primary focus is to restore the health and proper function of the mouth and teeth, creating a healthy, long-term environment for the patient. 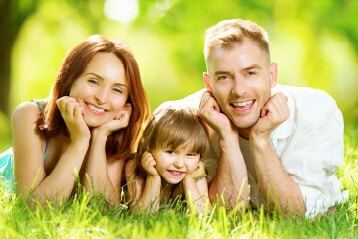 With our diverse experience, we can help you and your family enjoy healthier, brighter smiles for life! To schedule an appointment with one of our dentists, call Lynne Barbour Dental in Kahoka, MO, today at 660-727-4746 (GRIN).